This episode is chock full o’ nerdy goodness. Joining Gil T. this time is his faithful sidekick, Isaac, and the cast of crazies, Eric Billingsly and Tim Matson. Isaac has invite a special guest, Michael Daugherty, an admin of the Venom Facebook fan page. Also making a surprise appearance is Shawn Mitchell with some amazing revelations about the Robinson, Illinois nerd / gaming community and ready to talk nerdy. The subjects are too numerous to mention, so just have fun. 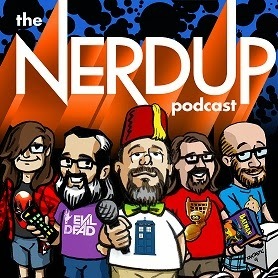 In this exciting episode of the NerdUp Podcast Gil T, Eric and Tim talk about “Believe,” “Resurrection,” “Marvel’s Agents of S.H.I.E.L.D.” “Star Trek,” Marvels venture into Netflix exclusive programming and Gil T. will be interviewing some from folks from the Crawford County Nerd Day event. The short novel by Capote should be added to everyone’s list, the flowing of the words make this story captivating and keep the reader enthralled. The characters in the story are so full of depth even though not much is really known about them. Yet the readers of this novel find themselves captivated in their story. Capote was able to create this world in which Holly Golightly can flit about from situation to situation and not worry about the effects on others. Now the story comes to full audio life with Audible’s production featuring Michael C. Hall (“Dexter”) as the narrator. Michael C. Hall’s voice is deliciously captivating and as an actor he is able to completely represent the narrator of the story, who is referred to as “Fred” but the listener/reader knows that is not his real name. Hall expresses all of the emotions and non-emotions expressed by everyone in the book but more accurately with his vocal qualities he makes it feel as if he were discussing the events with you while sitting at the local bar. The story behind this short novel is that of a man who is captured by the gravitational pull of Holly Golightly and her anything goes attitude. We are never given the name of the man, but Holly says he reminds her of her brother, Fred, who is off fighting in the war (WWII), and so that’s what she calls him. The man first runs into Holly when the upstairs neighbor complains that she needs to stop forgetting her key and to stop ringing him at all hours of the night to let her in to the apartment building. After this Holly begins calling the narrator to let her in. One night while trying to avoid one of the many male suitors she brings home, Holly sneaks down the fire escape to the man’s apartment. She then tells him he reminds her of her brother and will call him by her brother’s name, Fred. “Fred” is a writer who hasn’t had anything published yet, and Holly sets out to get him published through her many contacts she’s made. Holly is able to make any man do everything for her. As the first encounter in “Fred’s” apartment progresses it is learned that Holly visits a mob boss in prison while pretending to be his niece. This in turn leads to the feds bringing Holly in for questioning which leads to her fleeing the country. Between we learn that Holly was once married and left her husband and step-children for potential fame in Hollywood, and that Holly’s brother is killed in the war. Her brother’s death nearly sends her over the edge, and the return of her husband all lead to a breakdown that for Holly leads to her escape to trying to find her meaning. While the book leaves you wondering what did Holly do after she left, at the same time it leaves you fulfilled in the knowledge of having known Holly. The convergence of hopes for the future, the haunting past, making friends and living in isolation are what make the depth of this book fulfilling to the reader. 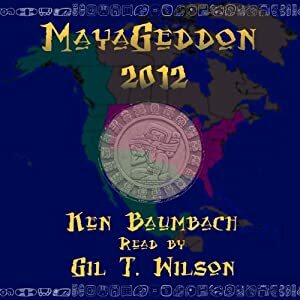 With this Audible production narrated by Michael C. Hall it is all presented to the listener in a fashion which gives even more depth to the story. Episode #27 One Moment of Humanity.